Design Stash is coming back! It has been a long time, but I am happy to announce that Design Stash is on it’s way back! I’m busy figuring out this new hosting and shopping platform, and I hope it will be well worth the wait for all of you! Shopping is easy to do simply by clicking the “shop” button located at the top of each page or by browsing through the categories listed in the right-hand column of each page. After your purchase, you will be emailed links to download your designs. 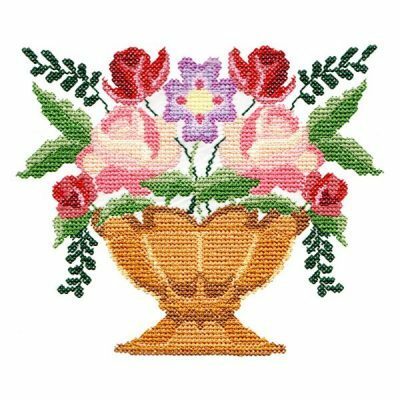 You will find the classic machine embroidery cross-stitch designs and maybe even find some that you hadn’t previously seen! My goal, as always, is to bring you the highest quality machine cross stitch designs. I personally stitch every single design looking for ways to improve them and find fun ways to put them to use. No auto-digitizing is used here! So pardon the “dust” (aka pages not quite finished yet), sit back with your favorite beverage, and be sure to sign up for our newsletter and follow us on facebook! We are also back at Oregon Patchworks Mall and are adding to our design inventory there! If you ever have questions or design suggestions, please feel free to send me an email.